This cute mix of sequin, polka dot and chevron printed ribbon is a sweet ensemble. Mix and match your colors for endless bow options. 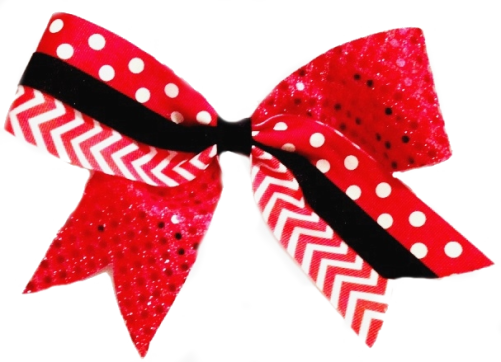 This bow is only offered in the Standard Large Size and is approximately 6-7 inches wide with 4-5 inch tails. 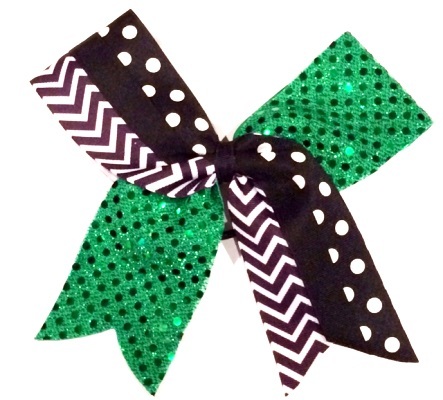 Made with 2 1/4 inch ribbon.